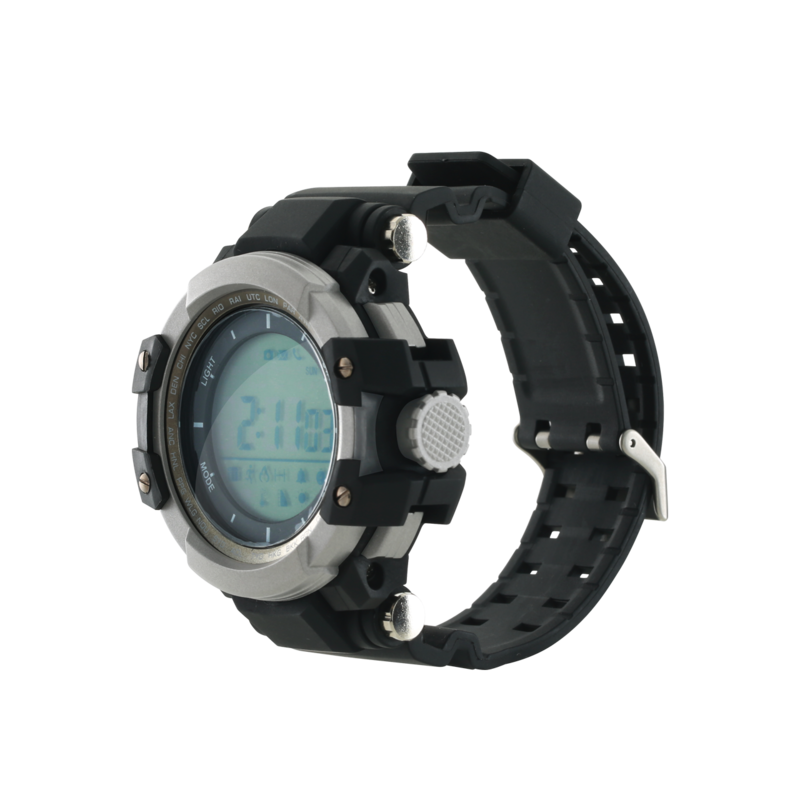 This smartwatch was created in military, damage-resisting design, and it could be a perfect cool-looking gadget for everyone. 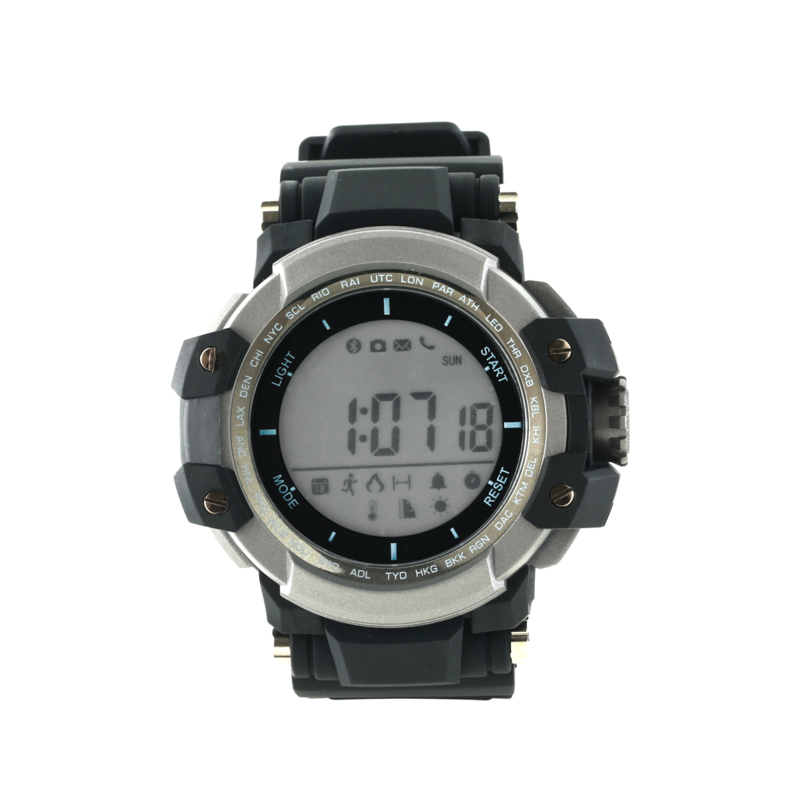 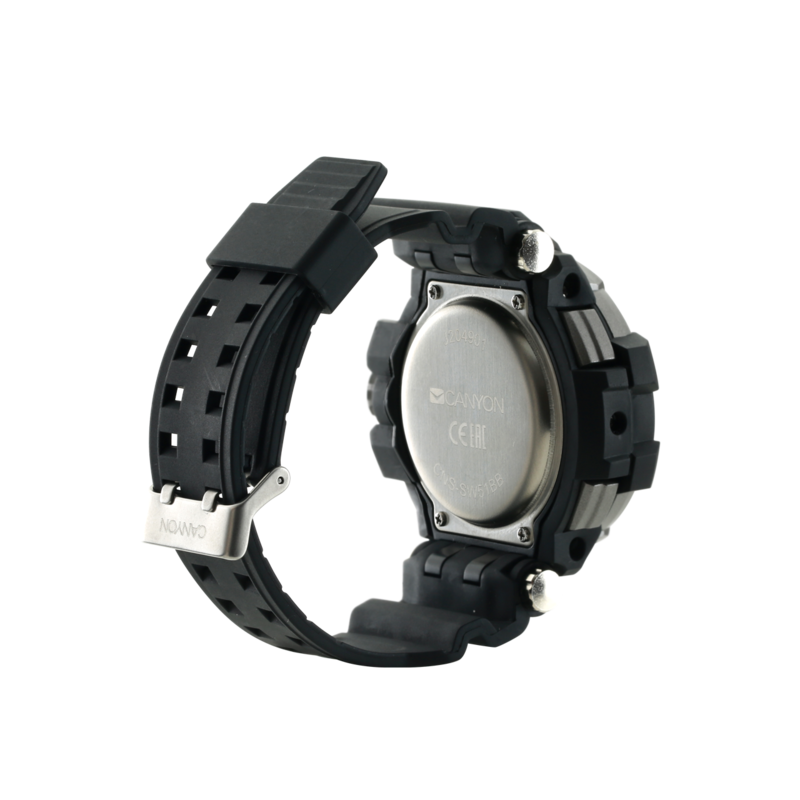 It’s deeply waterproof, energy-eﬃcient and durable enough to use it during workouts and outdoor activities. 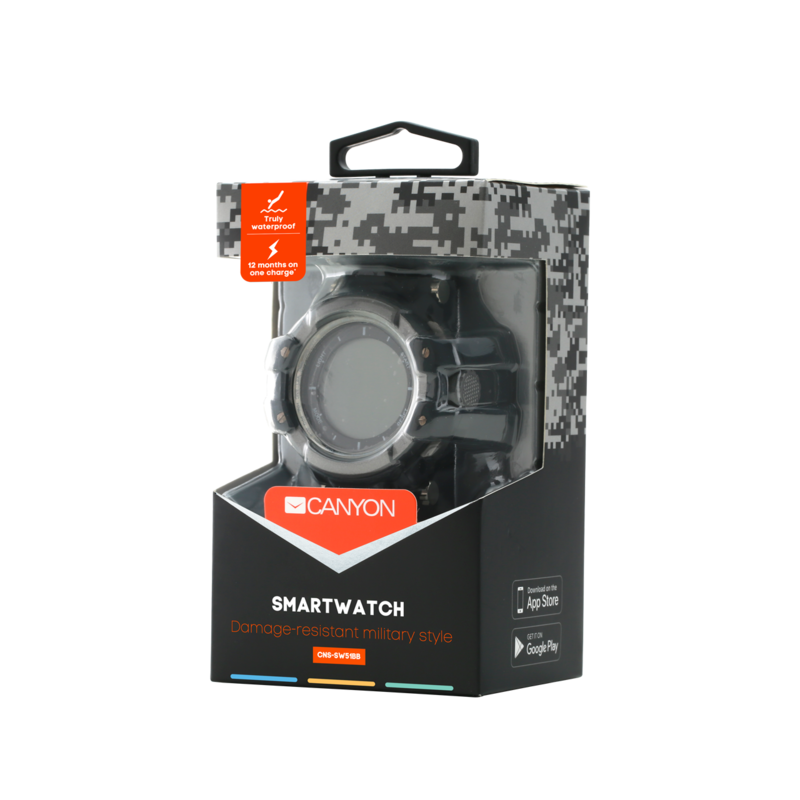 It can be easily connected to your smartphone to monitor your steps and calories, show notiﬁcations and weather data using Canyon Fit mobile app and Bluetooth connection. 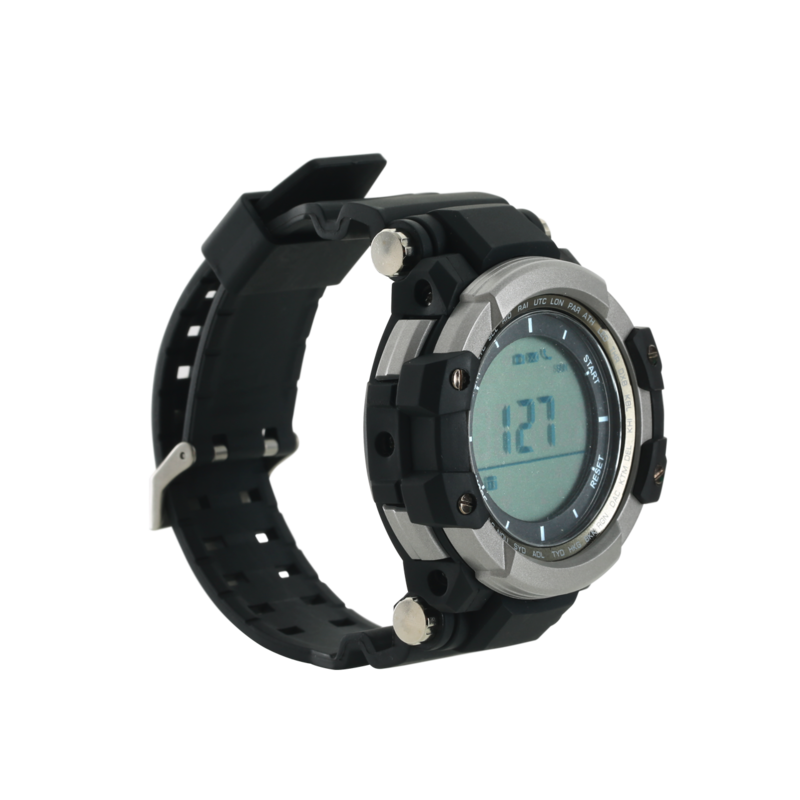 Thick protective shapes and gunmetal colours of this watch will perfectly complement your style.